Is a Retail Kiosk a Cost Effective Solution for Your Business? The battle to getting the footfall and the sales back on the UK high street has been well publicised. Towns and cities have been fighting long and hard to keep customers coming back, competing against the cheaper prices online, recession and the perennial problem of parking & transport. Many shops remain empty due to the high costs of rent and overheads that come with brick and mortar stores. Larger chains move in and out of town retail parks make it difficult for independent traders to compete and the results are lacklustre streets with low footfall and disappointed traders and shoppers alike. 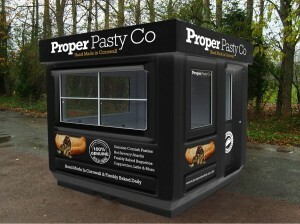 We are working with a UK company who specialise in portable retail kiosks. The products are ideal solutions for security huts, car park booths or retail kiosks. Street food and pop up restaurants are really popular right now. A kiosk is a great solution – enabling the owner the flexibility to move around the country, be fitted with catering equipment and provide the owner with a lower cost solution to a permanent unit. You can contact www.ukkiosks.com on a FREE phone number 0800 644 4488. Sharpmonkeys are a digital marketing agency based in Worcester UK.